In Taylor v. Vitetta (4D07-4769), the Fourth DCA reversed the trial court's order because the defendant had satisfied its burden to set aside a default. A party seeking relief from a clerk’s default must demonstrate excusable neglect in failing to file a responsive pleading, a meritorious defense, and due diligence. Gibson Trust, Inc. v. Office of the Attorney Gen., 883 So. 2d 379, 382 (Fla. 4th DCA 2004). 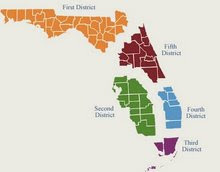 Florida courts have a liberal policy of vacating defaults in order to decide cases on their merits. Id. This court reviews an order denying a motion to vacate pursuant to an abuse of discretion standard. Id. Concluding that inaction due to reasonable misunderstanding satisfies excusable neglect, the Fourth DCA ultimately concluded all three prongs had been satisfied. Therefore, the default was reversed.